The Mountain Ski Shop is independently owned and operated by George Powell and located in the ground floor of the Lodge since 2009. We recommend them for your services as George and his staff do a wonderful job adjusting/fixing winter equipment and they provide excellent on-site merchandise and seasonal rental equipment as well. 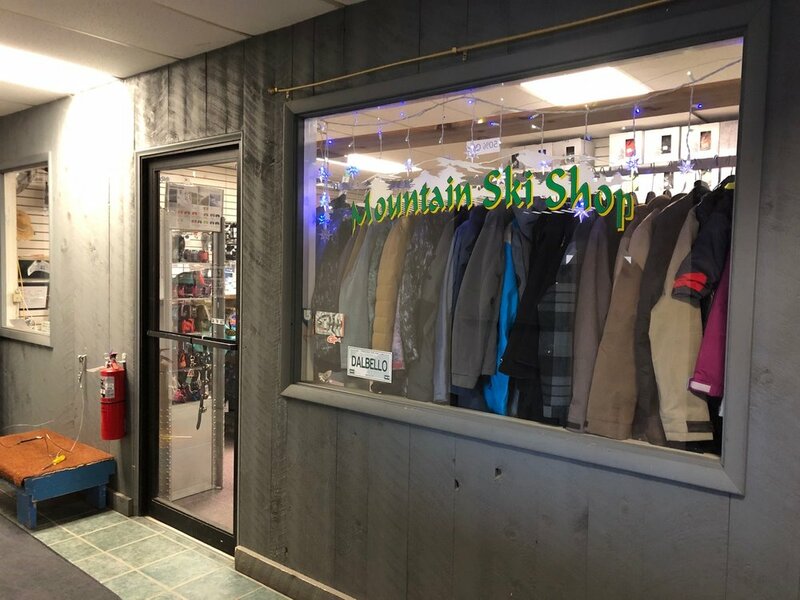 The Mountain Ski Shop's in season hours typically mirror ours, but we would direct you to contact them (814.466.6220 or georgetpowell@gmail.com) for appointments, hours, and rates as they are not a division of Tussey Mtn Ski Corp. The equipment leased through Mountain Ski Shop is yours to use on site at Tussey Mountain or to take to use at any other resort of your choice. The prices include adjusting, tuning and testing equipment. Contact them (814-466-6220) for more information!